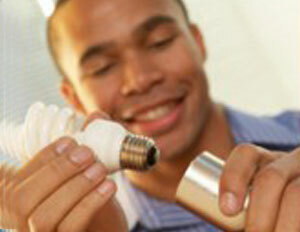 Most families hear the word â€œgreenâ€ or â€œeco-friendlyâ€ and immediately think that it means unaffordable. Or they think that the payoff is too far in the future to make the investment todayâ€¦but there are a few reasons why you should consider eco-friendly design for your home. Most families hear the word “greenâ€ or “eco-friendlyâ€ and immediately think that it means unaffordable. Or they think that the payoff is too far in the future to make the investment today…but there are a few reasons why you should consider eco-friendly design for your home. Plus, the eco-innovations on the market today are actually beautiful, and not bland like the past. And most importantly, these design options are available at varied price points, so there is no excuse…all the examples we are going to list cost less than $1,000. Aerator filters (approximately $1) can be placed in any faucet and are available at your local hardware store. They make water droplets feel larger so that when you are washing your hands, you will use less water, but feel that the wash is just as strong. Cleaning products (approximately $6-20) such as those by Method are an eco-friendly option for homeowners and they are available at major retailers including Target and they don’t do not have toxic effects like some harsher chemicals. No-to-low VOC (volatile organic compounds) paints and stains (approximately $55/gallon) are the way to go if you have a family and chemical sensitivities that can trigger asthma and allergies. There are many brands available, but I am a fan of the Benjamin Moore line. These paints self-prime and seal so that you often need only one coat, and they do not off-gas so that one hour after painting there is no paint smell. Denim and newspaper insulation (approximately $200/room) is created from old blue jeans that are repurposed into pallets of fibrous insulation and old newspapers that are shredded. Completely non-toxic, it is fire treated and can be installed with your bare hands, unlike some insulation that requires safety goggles, gloves, and respirators. Solatubes (approximately $350) are passive lighting devices that can also be used in a retrofit project, providing light anywhere into a space. Commonly used in closets and hallways, these devices sit on a roof or a wall and using a system of mirrors and reflectors can bring light in a hallway that would otherwise require use of electricity. Dual-flush toilets (approximately $400) are engineered to ensure that the least amount of water is needed by a consumer dependent on the usage. A big button for a big flush, and a small button for a small flush ensures that the water bill in a home is manageable. Hybrid hot water heaters (approximately $600) have tanks that hold 4-7 gallons of water instead of the usual 30 gallons. These systems ensure that you have instant hot water in the morning so you don’t have to let your water run prior to hopping in the shower, thereby saving water in the process. My favorite is the Eternal Hot Water Heater. Robin Wilson is a eco-friendly and healthy home interior designer focused on sustainable, reusable, recyclable and non-toxic options from the â€˜foundation to the furniture'. She is a member of the U.S. Green Building Council, an affiliate member of the International Interior Design Association (IIDA), and she is currently studying for her LEED accreditation.